Grant, Michael. The Rise of the Greeks. Photo available. New York. Charles Scribners. 1988. Octavo. Hard cover. Illustrated. Fine copy in fine dust jacket (in mylar). Grant, Michael. The Twelve Caesars. Photo available. New York. Barnes & Noble. 1996. Octavo. Hard cover. Reprint. Illustrated. Fine copy in fine dust jacket (in mylar). Grant, Michael. The Twelve Caesars. Photo available. New York. Barnes & Noble. 1996. 282 pps. Octavo. Hardcover. Reprint. Illustrated. Fine copy in fine dust jacket (in mylar). Grant, Michael. The Visible Past. Recent Archaeological Discoveries of Greek and Roman History. Photo available. New York. Charles Scribners. 1990. Octavo. Hard cover. Reprint. Illustrated. Fine copy in fine dust jacket (in mylar). Grant, Michael. The World of Rome. New York. New American Library. 1960. Octavo. Soft cover. Reprint. Near fine copy (very light shelf wear). Grass, Gunter. Two States - One Nation. San Diego. Harcourt, Brace & Jovanovich. 1990. 123 pps. Octavo. Hardcover. First edition. Fine copy in near fine dust jacket (in mylar). 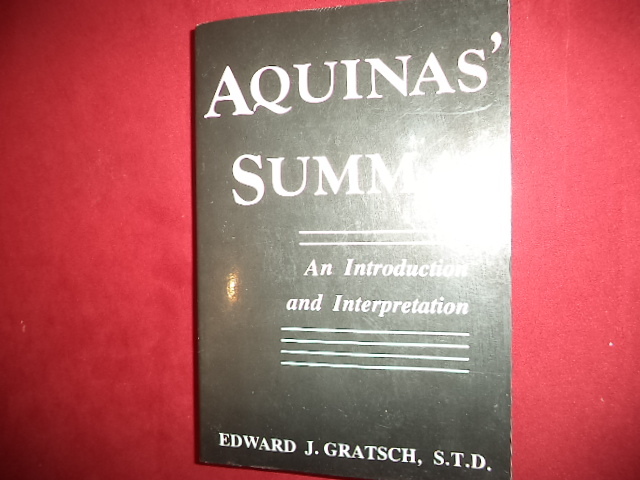 Gratsch, Edward J. Aquinas' Summa. An Introduction and Interpretation. Photo available. Staten Island. Alba House. 1985. 305 pps. Octavo. Soft cover. Reprint. Important reference work. Fine copy. Graves, Charles. The Big Gamble. The Story of Monte Carlo. London. Hutchinson. 1951. Octavo. Hard cover. Illustrated. Fine copy in worn dust jacket (in mylar). Graves, Dan. Scientist of Faith. Grand Rapids. Kregel. 1996. Octavo. Soft cover. Reprint. Fine copy (owner blind stamp). Graves, Robert. 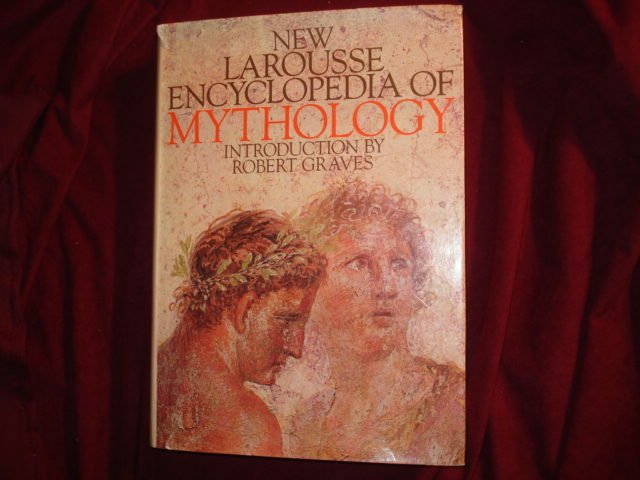 New Larousse Encyclopedia of Mythology. Photo available. New York. Prometheus Press. 1968. 4to. Hard cover. New edition. Illustrated in black, white and color. Fine copy in near fine (light shelf wear) dust jacket (in mylar). Graves, Tom. The Dowser's Workbook. 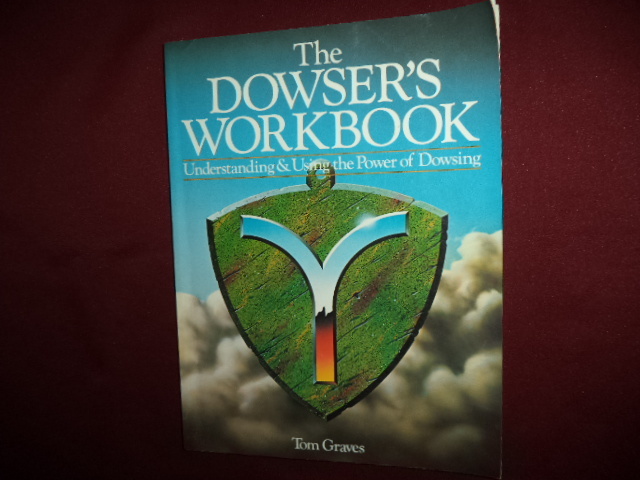 Understanding & Using the Power of Dowsing. Photo available. New York. Sterling. 1990. 173 pps. 4to. Soft cover. First edition. Illustrated. Important reference work. Fine copy. Gray, Bob. Forest, Fires and Wild Things. Inscribed by the author. Photo available. Happy Camp. Naturegraph. 1985. Octavo. Soft cover. First edition. Illustrated. Inscribed by the author "Happy Reading & hope you enjoy the stories. 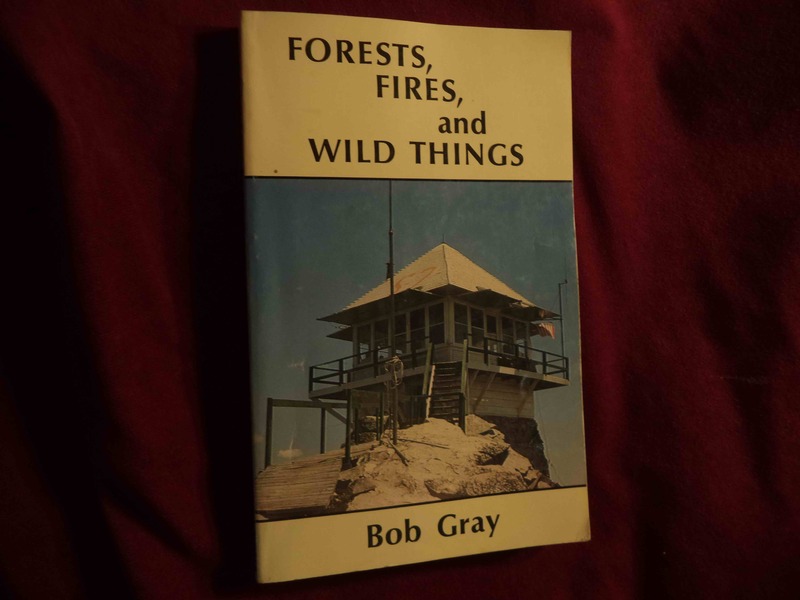 Bob Gray". Fine copy. Gray, Marianne. Depardieu. A Biography. Photo available. London. Sinclair Stevenson. 1991. Octavo. Hard cover. First edition. Illustrated. Fine copy in fine dust jacket (in mylar). Graysmith, Robert. The Sleeping Lady. The Trailside Murders Above the Golden Gate. Photo available. New York. Dutton. 1990. Octavo. Hard cover. First edition. Illustrated. Fine copy in fine dust jacket (in mylar). Greathead, Mrs. Estelle. The Story of an Inspiring Past. Historical Sketch of the San Jose State Teachers College from 1862 to 1928. With an Alphabetical List of Matriculates and Record of Graduates by Classes. San Jose. San Jose State Teachers College. 1928. Octavo. Hard cover. First edition. Illustrated. Near fine copy (very light spine sunning). Green, Cynthia R. Through the Seasons. An Activity Book for Memory-Challenged Adults and Caregivers. Baltimore. Johns Hopkins University Press. 2008. 4to. Decorated hard cover. First edition. Full number line. Illustrated in black, white and color. Important reference work. Fine copy. Green, Forace. Testimonies of Our Leaders (Mormon). Salt Lake City. Bookcraft. 1958. 335 pps. Octavo. Hardcover. First edition. Illustrated. Fine copy. Green, Joann. The Small Theatre Handbook. A Guide to Management and Production. Harvard. Harvard Common Press. 1981. Octavo. Decorated hard cover. First edition. Illustrated. Fine (owner name on end paper) copy. Green, Martin. The von Richthofen Sisters. The Triumphant and the Tragic Modes of Love. Albuquerque. University of New Mexico. 1974. 396 pps. Octavo. Soft cover. First edition. Illustrated. Fine copy. Green, Michael. Unicorns. On the History and Truth of The Unicorn. Photo available. Philadelphia. Running Press. 1968. 110 pps. 4to. Soft cover. Number line starts with "2". Illustrated in black, white and color. Important reference work. Fine copy. Greenberg, Hal and Ellen. Inside Chocolate. The Chocolate Lover's Guide to Boxed Chocolates. New York. Harry N. Abrams. Inc. 1985. 78 pps. Octavo. Gold foil hard cover, gilt edges. First edition. Illustrated in color and black & white. Fine copy. Light scuffing to covers. Greenburg, Jan Crawford. Supreme Conflict. The Inside Story of the Struggle for Control of the United States Supreme Court. Photo available. New York. Penguin. 2007. Octavo. Hard cover. Reprint. Illustrated. Fine copy in fine dust jacket (in mylar). Greene, Evarts B. & Virginia D. Harrington. 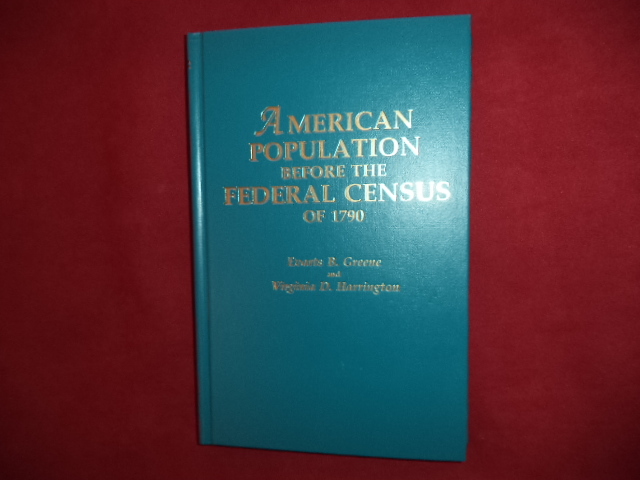 American Population Before the Federal Census of 1790. Photo available. Baltimore. Genealogical PUblishing. Columbia University Press. 2004. 228 pps. Octavo. Hardcover. Reprint. Important reference work. Fine copy. Greene, Melissa Fay. The Temple Bombing. London. Jonathan Cape. 1996. Octavo. Hard cover. First edition. Illustrated. Fine copy in fine dust jacket (in mylar). Greener, Leslie. The Discovery of Egypt. New York. Viking Press. 1967. Octavo. Hard cover. First edition. Illustrated. Fine copy (owner blind stamp) in fine dust jacket (in mylar).